Time flies when you’re having fun! It’s time for our 3rd & last monthly support group sharing session for this year! 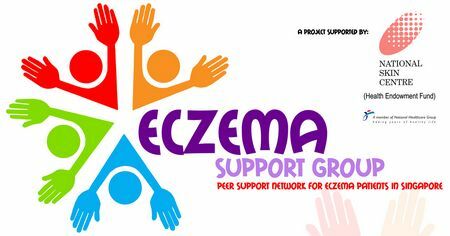 A quick recap: Our Eczema Support Group kicked off with an inaugural event on 14 July 2012, held the first sharing session for parents with eczema child on 22 Sep to discuss moisturizing and held the 2nd session on 20 Oct to share our scratching distraction tips. For this session, it will be a sharing over LUNCH (Provided) to discuss on What We Feed Our Child with Eczema! Wait! Before I go on to talk about what is happening for 30 Nov lunch sharing, I’d like to first explain why it is on a Friday and at lunch time – Reason (1) Some parents feedback that Sat morning is not possible for them to attend as their kids have classes; Reason (2) lunch time, with lunch provided, can hopefully give parents who are working near town a chance to attend, i.e. slip out of office earlier, enjoy lunch when having fun meeting other parents and get back to office by an acceptable time (which is why this session is an hour, while Sat morning’s session is 1.5 hour)! 1. 12.00 – 12.05pm Introducing Ourselves – This will be shorter than usual, so for those of you who have not been attending because you don’t know what to say, just remember your name! 2. 12.05 – 12.30pm I’d be playing two videos relating to food and inflammation, so that everyone can eat your lunch without worrying of speaking with your mouth full. My hubby, who attended both previous sessions, will not be present to help entertain the younger kids but I will still bring along balloons for sculpturing, puzzles and coloring. 3. 12.30 – 1.00pm We would be discussing ‘What we Feed our Eczema Child’; I’d be sharing some advice from the nutrition experts I’ve interviewed. This is the time to share what food, supplements we have fed our kids in the past and thought it helped a little.. somewhat… maybe. With everyone’s inputs, we can even decide to try cooking a certain food for the next month and report back in January if our child is healthier! 4. What’s for Lunch – Very likely, Subway. Because it can be purchased at nearby Tan Tock Seng Hospital, we can eat it without messing the floor and you can visit their website to know how many calories you’re consuming (for those of us concerned with weight gain! ).